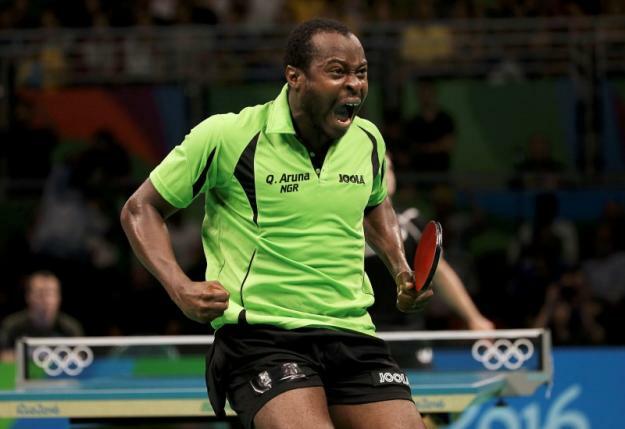 Aruna Quadri, Offiong Edem, Segun Toriola and Funke Oshonaike on Thursday at the ITTF Africa Top 16 in Kenya progressed to the knockout stages of the competition. The quarterfinal matches will be played today. Quadri topped Group 2 with four points after winning three matches while Toriola topped Group 4 with four points. Oshonaike finished on top of Group 2 in the women’s singles with six points after winning all her matches and Edem topped Group 4 with five points to qualify for the quarter-final. Quadri battles Ghana’s Derek Abrefa in the men’s singles while Toriola faces Congo’s Saheed Idowu. In the women’s tie, Oshonaike faces Cameroon’s Sarah Hanffou and Edem takes on Tunisia’s Safa Saidani, who is ranked higher than the Nigerian. In other quarter-final ties, Egypt’s Omar Assar confronts Tunisia’s Mamia Thameur while another Egyptian Ahmed Saleh faces Algeria’s Sami Kherouf. Africa’s number one women player Egypt’s Dina Meshref battles Seychelles’ Christy Bristol and Farah Abdel-Aziz meets Algeria’s Lynda Loghraibi.